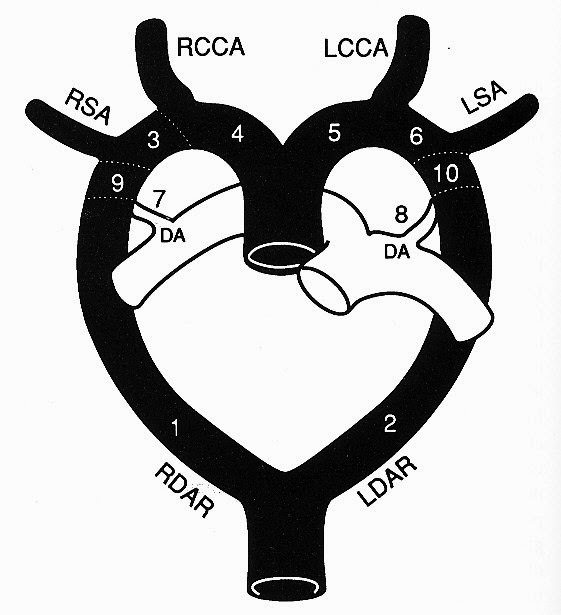 Images are from Freedom's CHD Textbook of Angiography Vol. II (1997) p.948. Based on Edwards Hypothetical Double Arch. 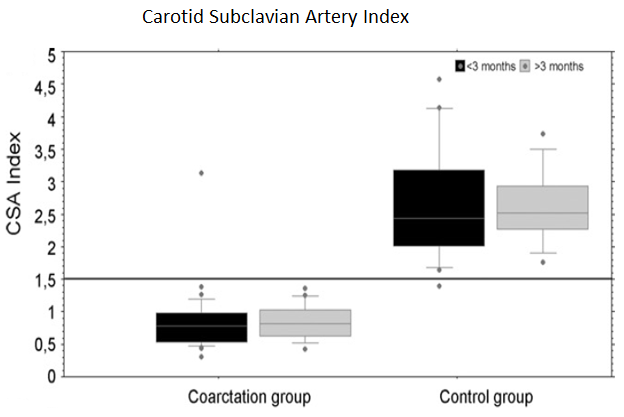 Numbers in lower diagram indicate possible sites of regression. 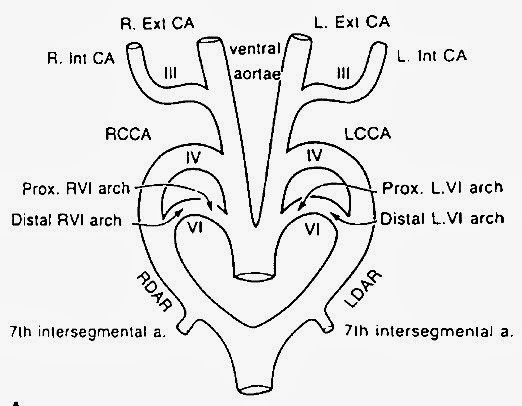 Vascular anomalies occur according to the site of regression. Normal left arch - 1, 7 regress. Right arch with mirror-image branching - 2,8 regress. Left arch with aberrant RSCA - 1, 3 regress. Right arch with aberrant LSCA - 2,6 regresss. 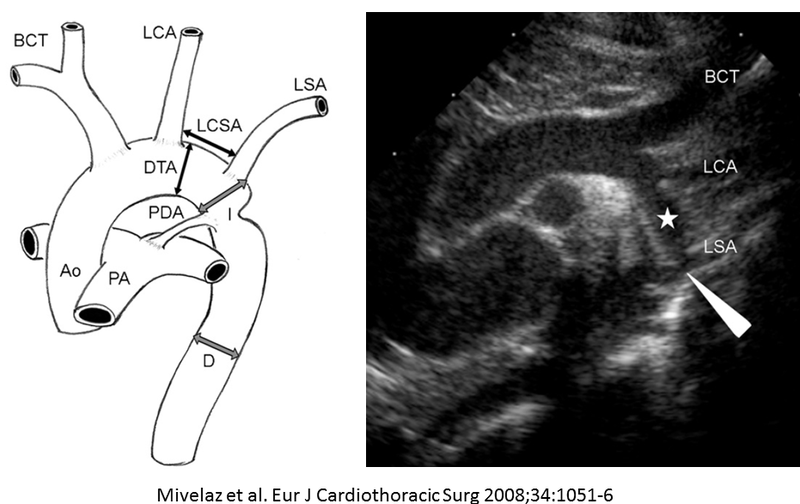 Images are from Eur J Cardiothorac Surg 2008;34:1051-6. CSA index was proposed in Dodge-Khatami et al. Ann Thorac Surg 2005;80:1852-7. 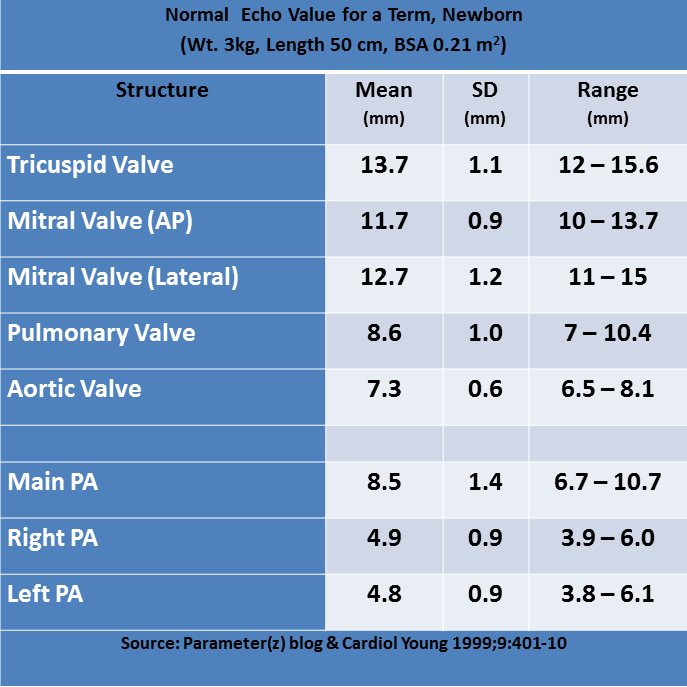 CSA index = Diameter of distal transverse aorta/Length of distal transverse aorta.